Want to make your cat one of the happiest on the block? Consider building them a catio! A trend is sweeping the feline living scene, and if you want your cat to be one of the happiest on the block, you may be in for a minor home-renovation project. Say hello to the catio, aka, a cat patio. 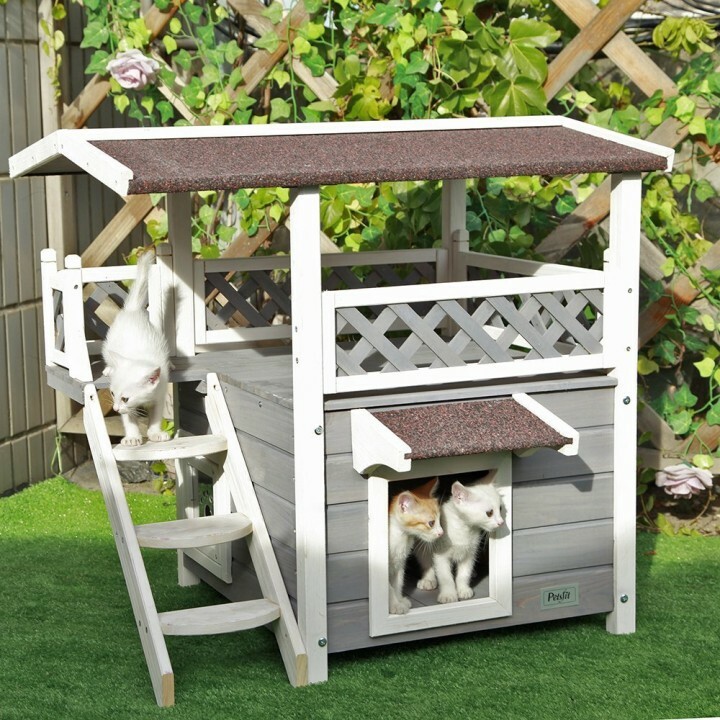 According to a 2016 trend piece in The Washington Post, catios are not only a fun way to give your pet a luxe outdoor space; they’re also a safe option since they keep your pet from roaming or getting into trouble with other animals, like birds. 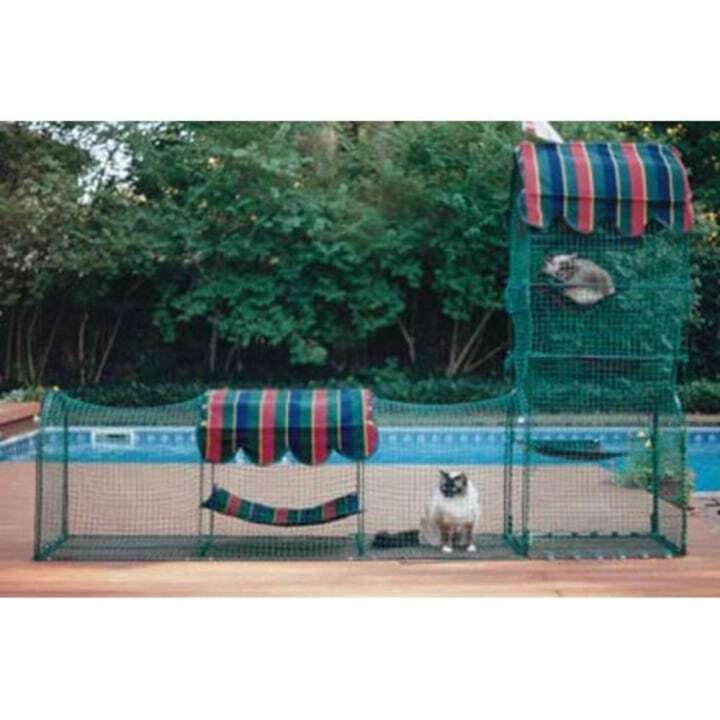 Catios are screened-in structures ranging in sizes, shapes and designs that allow cats to take in the fresh air and lounge in their own space. Some companies even specialize in these custom-built enclosures. Catio Spaces in Seattle, for example, offers small options such as the “Window Box Veranda” all the way to a larger ground-level “Sanctuary Condo,” which includes a human-sized door and an upper catwalk. 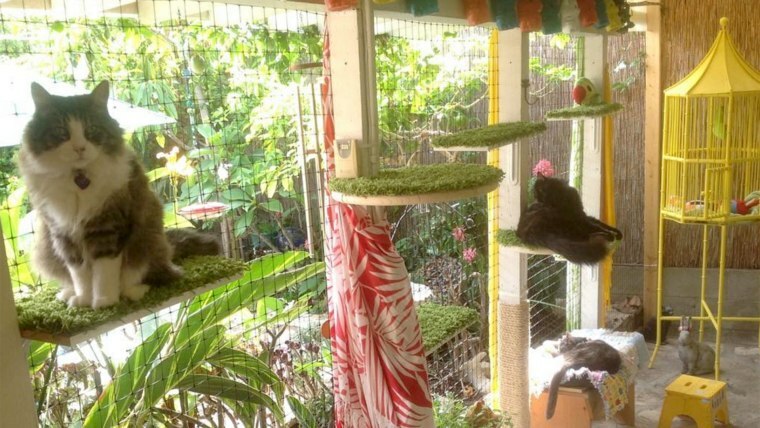 The Cat Carpenter, a catio specialist in Austin, Texas, features a treehouse design complete with a skywalk from the main house. There’s also a multi-level option that allows cats to live the penthouse lifestyle and a large screened-in porch catio that’s big enough for humans to hang out in, too. People For the Ethical Treatment of Animals (PETA) is a big proponent of catios, saying in a blog post that if your cat could talk, they’d ask you for one. But the organization also reminds you to keep a watchful eye on your pet when they’re lounging in the catio. 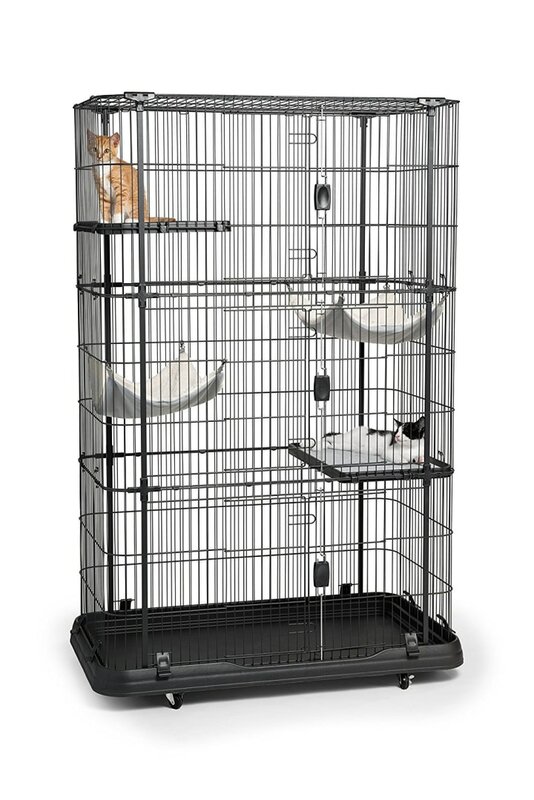 Here are some of the best selling catios on Amazon. This Amazon's Choice product has 4.5 stars and almost 500 happy reviews. This one isn't enclosed but it will definitely look good on your lawn. This story was originally published on Sept. 2, 2016.